Dr. Don Taylor, Ph.D., CFA, CFP, has been advising Bankrate readers for 13 years. 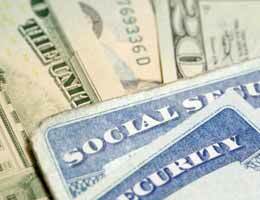 A topic that frequently comes up is Social Security. People want to know the best strategy for claiming Social Security benefits, or they just want to know how it works. The answers to their questions always depend on their particular situations. And because Social Security is laden with rules and regulations, it’s not always easy to find an answer on the government site, even though it strives to be clear and comprehensive. For this special feature on Social Security, Bankrate presents the best of Dr. Don’s Social Security advice, offered to people from around the country over the past year. Questions include those from individuals wanting to retire early, couples trying to determine the best strategy and widows wanting to know their options. Even if you read all of these questions and answers, you won’t become an expert. But you will gain an appreciation for the complexity of the Social Security system — and perhaps some insight on how to proceed with your own retirement plans. Does it make sense to retire early and stop saving? Will I get more if I defer taking widows benefits until I’m 70? Can I draw spousal benefits while I’m working until I turn age 66? Will my wife be eligible to collect spousal benefits at age 66 if I wait until age 70 to collect mine? Can my husband and I both “file and suspend” and then collect spousal benefits until age 70? I’m 66 and don’t need my Social Security benefits. In what tax shelter can I invest the money? I am 62. 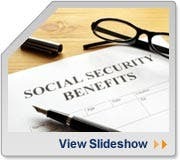 If I pay back the Social Security I already collected, can I get a higher benefit later? Will working while taking survivors benefits penalize me if I switch to my own higher benefit later? Can my older wife start drawing spousal benefits before I am eligible to collect? Can I collect a spousal benefit before I collect my own retirement benefit? Can I collect off my husband’s record next year when we’re 62 if he “files and suspends”? What happens to a spouse’s Social Security after he dies and there are no children?